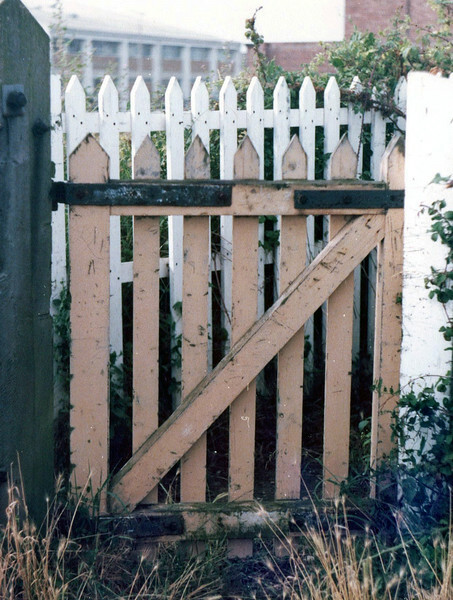 A typical example of a pedestrian wicket gate used on the line. This one at Kings Hedges Crossing. 11th August 1979.